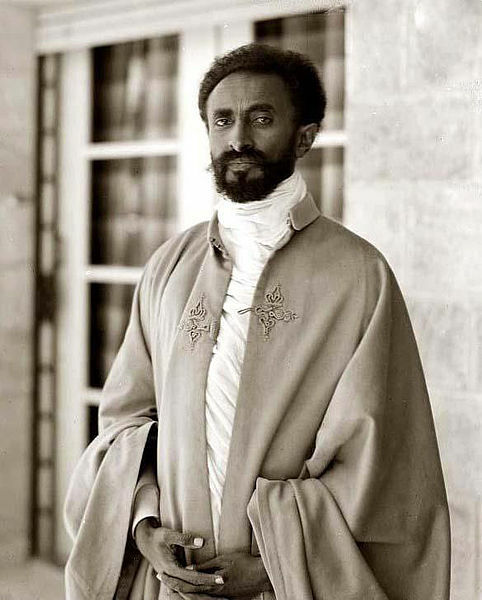 Today we commemorate the birthday of His Imperial Majesty Emperor Haile Selassie I. 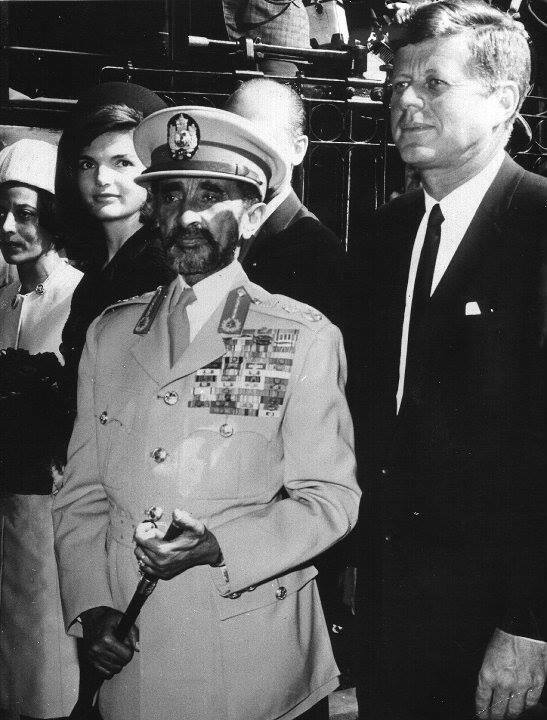 In reminiscing about Emperor Haile Selassie or any other monarch of Ethiopia, one must understand first the history, legends, fables and myths that make-up this age old institution. 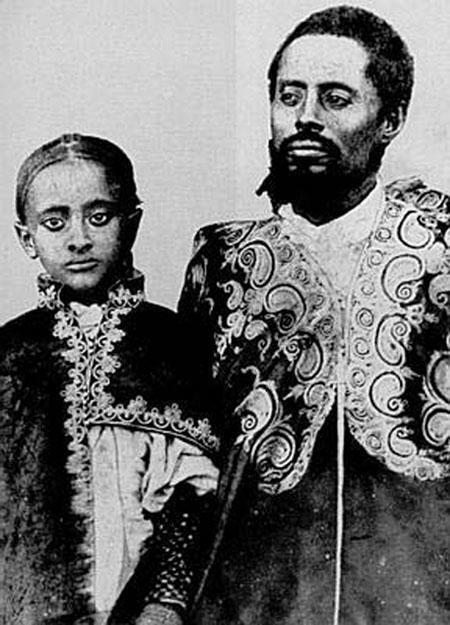 The Ethiopian monarchy is said to descend from King Solomon and the Queen of Sheba, whose progeny was Menelik I, the first King of Ethiopia. Mentioned in the Bible, whether real or mystical, this notion has been part and parcel of Ethiopian identity, traditions and an act of faith. Thus, Ethiopian monarchs have existed believing their role to be a sacred trust and a manifest personal destiny. Having been endowed with Divine power, they believed the ruler must be just and fair to all his subjects, as laid out by the canons of the Kibre Negest and Fitha Negest. 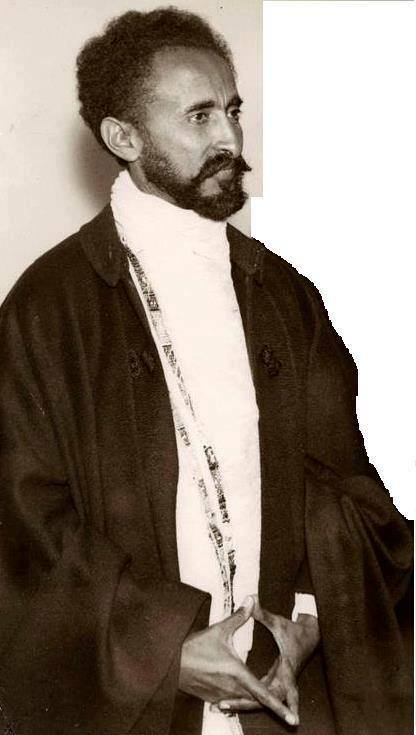 Therefore, like his predecessors Emperor Haile Sellassie and his generation grew up in this mold, believing in the ruler’s sacred duty to God and country. For instance when the 1955 Constitution was being drafted, I was secretary of the drafting committee. On one occasion a suggestion was made by one of the foreign advisers to take out the term “Elect of God” from the titles conferred to the Emperor. When I reported this to the Emperor, he said “Were it not for God’s will, how do you think I came to this position?” and he really meant it. Having lost his mother at birth and his father in his early teens, growing up in the Imperial Court must have been very challenging for the young Prince. The entourage of loyal and wise men to whom his father entrusted his upbringing was evidently a great support to help him master and survive the byzantine intricacies of court politics. Indoctrinated in Coptic Orthodox doctrine with some influence from western Catholic educators, he was a young man living in a centuries-old political and social milieu that was confronting a twentieth-century world. A man of exceptional intelligence endowed with exceptional memory, he had visited Europe and met many statesmen from which he was exposed to new notions of governance. 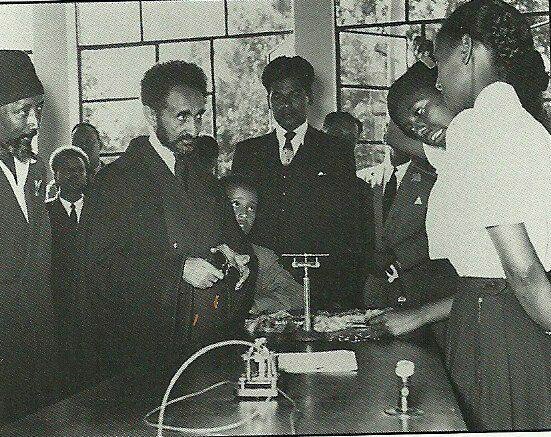 Although without formal education in the Western sense, he had quickly realized the importance of modernizing Ethiopia, a belief that prompted him to give priority to education throughout his life. His premonition to the world powers who had allowed his country to be violated by the Fascists hordes, that their turn will also come, remains a remarkable prophecy in modern times. 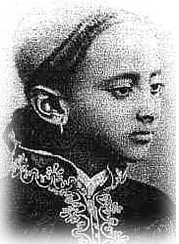 While living in exile, the Emperor succeeded in maintaining the legitimacy of the Ethiopian nation, and eventually securing back her independence and sovereignty, which was no small diplomatic feat. After the liberation the reconstruction of the country was not an easy matter. 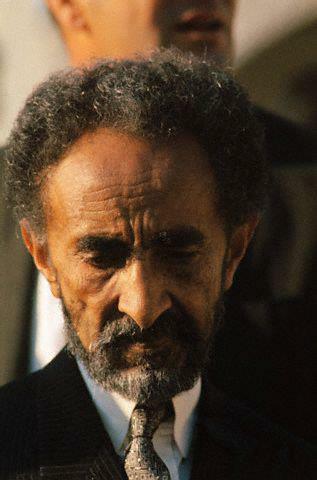 Confrontation with the liberating colonial allies who wanted to make of Ethiopia a protectorate, as well as reestablishing a viable government administration in highly different and adverse conditions, offered many pitfalls that the Emperor surpassed with skill and hard work. 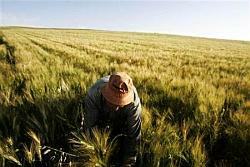 The Emperor was an indefatigable worker totally dedicated to his mission. From what I had observed occasionally, his day started around five in the morning and ended around midnight. He insisted that everything be reported to him by ministers, governors and department heads. All officials, big and small, were expected to report to him about their work, which allowed him to keep tight control over what went on in the country. The various functions he presided were strictly scheduled and regulated. He attended rigorously all religious and national celebrations. Every afternoon he visited hospitals, schools and attended functions where his presence was required. He presided every day over the Imperial Court of Justice. All decisions he made were after consultation with all interested parties. He was highly disciplined and punctual in the performance of his imperial duties. Gifted with an extraordinary and unique personality, he represented Ethiopia and its glorious past with dignity and honor. Some of the salient achievements of his reign were – obtaining the Ethiopian Orthodox Church its own Patriarchy; securing Ethiopia’s independence and national integrity; gaining full international recognition and status for Ethiopia; modernizing the government administration; promulgating provincial autonomy; establishing the civil service; restoring Ethiopia’s legitimate access to the sea and returning Eritrea to the motherland; granting free education to all citizens including university; introducing a modern legal system and codification of the civil, commercial and penal codes; modernizing the police; creating a modern defense force (Army, Airforce and Navy); adopting quinquennial development plans; establishing banking and financial institutions, an airline, telecommunications, a highway authority, shipping lines, ports, a refinery, hydroelectric dams and countless other projects. At the end he did not allow his reign to terminate in bloodshed and sorrow, for which we are all grateful. Emperor Haile Sellassie was an exceptional human being and a great Ethiopian Emperor whose name will be remembered as such in the annals of World History. ለ አንባቢዎች ! ኤጀርሳ ጎሮ ! የሐምሌ 2005/ July 2013 ልዩ እትም ፣ ቀ.ኃ.ሥ. በአንዴም እንደ ቀጥታ መስመር ጉዞ፣ ከወረዳና ከአውራጃ ገዢነት፣ ወደ ጠቅላይ ግዛት፣…ከደጃዝማችነት ወደ ራስ፣ ከዚያ ወደ ልዑል ራስ ፣ቆይቶም ንጉሥ፣… ባለሙሉ ሥልጣን እንደራሴና አልጋ ወራሽ፣ በመጨረሻም ፣ ቀዳማዊ ኃይለ ሥላሴ ንጉሰ ነገሥት ዘ ኢትዮጵያ፣ ተብለው ጥቅምት 23 ቀን 1923 ዓ ም (የኢት. ዘመን አ. )፣ የዓለም ተወካዮች በተገኙበት ሊነግሱም፣ ወጣቱ መስፍን ችለዋል። ማን ነው በንግሥ ሥነ-ስርዓት ላይ የተገኘው? ማነው ያልተገኘው? ከየት አገኙት ተፈሪ መኮንን ይህን ሁሉ ጥበብ?… የእግዚአብሔር ጸጋ ነው?… ጊዜው አመች ስለሆነ ነው? በጥሩ የጀሲዊቶቸ አስተማሪዎች እጅ በማደጋቸውና በመማራቸው ነው? የሰው ምክር በማዳመጣቸው? በቂ ገንዘብ ስለነበራቸው? ዕጣ ዕድሉ በእሳቸው ላይ ስለወደቀ? ኢትዮጵያ ተቸግራ፣ በመከራ ጊዜ ያገኘቻቸው አንድ ሰው በመሆናቸው ነው? መጽሓፍቶቹስ አሁን የቀድሞ ቢሮዋቸው ቢኖሩ አይደል? ምናልባት በዚያን ዘመን አጠገባቸው የነበሩ አማካሪዎቻቸው፣ ጸሐፊዎቻቸው፣ ሚኒስትሮቻቸው አንዳንድ ነገሮችን ጫርጫር አድርገውልን ጠረጴዛዎቻቸው ውስጥ አስቀምጠውልን፣ ዞር ብለው ይሆናል። ከልዑል ራስ እምሩ ብዙ ነገር እኔም እንደሌሎቹ ጠብቄ ነበር ። ግን ልብ ሳልል አልፌ ይሆናል እንጂ፣ ምንም ነገር አላገኘሁም። ደጃች ከበደ ተሰማ ሌላው ሰው ነበሩ። እሳቸውም የጻፉት ነገር ይኑር አይኑር ምንም አይታወቅም። የንጉሡ የልጅ ልጆች ስለ አያታቸው ቢጽፉ ጥሩ ነበር። ሌሎቹስ? ከስድሳ አመት በላይ በወሰደው የፖለቲካ ዘመናቸው ብዙ ነገሮች ደግሞ ለአገሪቱ ለማድረግ ፣ ምንም የሚያግዳቸው ነገር ስለአልነበር በቀላሉ ይችሉ ነበር። በቀላሉ? ምንድነው አስበው፣ አቅደው የነበሩዋቸው ነገሮች? መሬት ለአራሹ ተባለ። ይህ የመሬት ጥያቄ ግን በንጉሠ ነገሥቱ ዘመን መልስ ለማግኘት በአለመቻሉ መሬት “የሕዝብ ነው” ተብሎ ፖለቲካ በማያውቀው ወታደር በአወጅ ተወረሰ። ለመሆኑ ዛሬ የዚያ የኢትዮጵያ መሬት ባለቤት ማን ነው? የት አሉ ሽንጎ ውስጥ ዛሬ የተቃዋሚ ፓርቲዎች? አንድ ተቃዋሚ ሰው ብቻ አይደለም ፓርላማ ውስጥ ያለው? ለመድገም፣ “ንጉሡ ይውረዱ እንጂ ያን እናመጣለን፣ ይህን እናደርጋለን…” ያልተባለ፣ ያልተጠየቀ ነገር የለም። ሁሉም ተብሏል። …መሬት ለአራሹ ዱሮ፣ በተማሪው ተባለ። ነጻ- የፓርላማ ምርጫ ከአልሆነ ተባለ። የዜጎች መብት ይከበር ተባለ።… ሳንሱር ተነስቶ ልብ ወለድ ድርሰት እንደልብ አትመን እናውጣ ተባለ። የምርምር ነጻነት፣ የመናገር ነጻነት…ተባለ። በእነዚህ ሁሉ ፣ ጥያቄዎች ደግሞ እንደምናውቀው ንጉሠ ነገሥቱ፣ ይከሰሱበት ነበር። በእነዚህ ጥያቄዎች ዙሪያም ሁሉም ሰው ተሰለፎአል። ታዲያ ውጤቱ የት አለ? መልሱ የትደረሰ? ምን ይታያል? የት ነው ያለነው? አሥመራ እንዴት ናት? አዲስ አበባስ? ጎንደር? ወለጋ? በሐረር ምን ይታያል፣ ምንስ ይሰማል? ደርግን ተክተን “ነጻና ዲሞክራቲክ መንግሥት በኢትዮጵያ እናመጣለን “ብለው በጫካ ሁሉም ተሰማርቶ ነበር። እነሱስ ሥልጣኑን ሲረከቡ ምን አመጡልን? አጼ ኃይለ ሥላሴ ከገርማሜና ከመንግሥቱ ንዋይ የመንግሥት ግልበጣ ሙከራ ተረፉ። ለምንድን ነው ግን፣ ይህን እንደ ማስጠንቀቂያ ቆጥረው፣ ከግንዛቤአቸው ውስጥ አስገብተው የአገሪቱን ፖለቲካ ለማስተካከል የአልሞከሩት? እንግዲህ ከቅዠት ዓለም ወደ ነጻ-ሕብረተስብ ትውልዱ መመለስ አለበት። እንዴት? በምን ብልሃት?